This 13-page template is intended to assist you in the process of creating a medical monitoring plan for the clinical trials. The type of monitoring entity or plan can widely differ among studies. However, all clinical trials must be monitored at least by the assigned Medical Monitor. Additionally, it may require further monitoring by an independent safety monitor. This is an MS Word template to be used as a starting point for preparing a Medical Monitoring Plan for either clinical trials or clinical research. We have included a proposed structure for a medical monitoring plan as well as draft language and other guidance to assist you in creating a medical monitoring plan. The yellow-highlighted text enclosed with < > indicates a placeholder where a specific detail is to be inserted (replace as appropriate). Ensure that all placeholders and example text is replaced with study specific information. 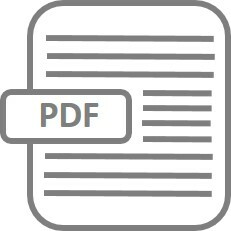 In the template, the instructions and explanatory text are indicated by [blue italics], which is used for explanations only and must not be included in the final document. Helps you to follow the ICH guidelines for preparation of a compliant Medical Monitoring Plan that addresses the study requirements. Assists the Medical Monitors to include the required items (roles/responsibilities within the trial, cooperation with the Sponsor and other members of the project team) in this document.